are a player matchmakers and we’re always looking for ways to add value to job seekers and employers. The title of this particular podcast is how to improve the candidate experience and that is becoming such a great thing in this new employees market. So if you were a company and you are struggling to find the right personnel, especially the harder to fill type positions, this content may be able to help you create the kind of candidate experience that you would want that would lead to better results. Um, you can see all of our new content on our website. If you go onto our career, Staffing agency Tulsa, tab and then a down, you’ll see podcasts and we’ll be, we will be moving to iTunes sometime soon, but we’ll let you know when that is available. The reason that we feel that this topic is important today is because there are, like I said earlier, we are in an employees market and we had been in an employer’s market for at least the last 10 to 15 years. And so many, many employers are having to shift their way of thinking because now employees, they have a lot of options and you can lose people if you don’t treat them appropriately. So I think we’ve got some really great ideas for you on that. So what we would like to ask all of our listeners to do is if you find this content helpful, we’d like to ask that you please share this information with people that you know, because we want it to benefit as many of the right people as possible. And so this is going to be two episodes. Um, this first episode’s going to be about a 10, maybe 12 minutes, and then we’re going to have another episode with the same title. And so, like I said, we’re going to go ahead and jump straight into this. Um, this is how to improve the candidates experience, but we want to start off with, um, some, some, uh, quotes about from Jeff Bezos. Tell us about that, Ethan. Sure. Yeah. Hey everybody. So Jeff Bezos is the founder, owner, president, CEO of Amazon. So he definitely is big, um, a big name in just the business world. He’s got some really great quotes about customers. And so we decided we were going to replace the word customer with candidate a because it translates very well. And, uh, and I think in the same way that he thinks about customers, we can be thinking about candidates through the, through the interview process. One of them he says is this, we see our candidates as invited guests to a party and we are the hosts. It’s our job every day to make every important aspect of the candidate experience a little better. Um, and, and we’ve had a lot of people ask why, why, why does that matter as much or so often? It’s easy for us to think a little bit less about the candidate. Um, but, but he puts it really well. Again in this, this is one thing that we talked about all the time here at Trinity. Um, he says if you do build a great experience candidates, we’ll tell each other about that. Word of mouth is very powerful. I think word of mouth might be, I mean in my opinion at least might be the, that might be your, your most important, um, review, kind of. You know, you can, you can see things online, you can, you know, but really when it comes to what your friends, what your family, people you know, talking about, you take that to heart real easily. You know, it’s, it’s really true. And I was, I was actually listening to a book, it’s called made to stick. It’s really interesting. What they were talking about is about, um, it chip in his brother chip. Oh, good grief. Sorry. Yeah. Um, I’ll tell you what, I’ve got it here on my phone and I’ll look it up and I’ll try to, I’ll try to put it on there. It’s, it’s always been a staple book in marketing. And what they had, what they were talking about is you can use statistics, you can use all of these different things, but giving the public the right to be able to make up their own mind and have, having a referral and just the experience make sense. 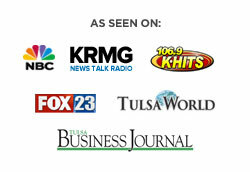 Staffing agency Tulsa, is one of the most powerful ways of, of even marketing. I can tell you from experience right now, if we have a referral, especially from a customer standpoint, they’re ready to do business right then and there. And they’re not, they’re not examining us at, at a high, high level. Uh, like they normally would be. The example that they used is remember the, where’s the beef and commercial? Yeah. And they, and they let the public make up their mind, hey, if you go to get a Wendy’s burger, it’s pretty obvious there’s more beef in there. So it, and then that started a referral base where people were like, you know, I didn’t know, I didn’t realize this, but Wendy’s does have more beef because the commercial created, um, a conversation and that conversation require created a referral program to where other people’s advice or other people’s referral meant so much to everybody. So, so interesting. Oh yeah. Has a recruiter, if I get someone who applies or sends me their resume and they say, hey, so and so referred me to you, someone that I’ve placed in a job before, a manager I’ve worked with before, that person, I will, I will immediately call them. They go to the top of my list because they’ve been referred to by someone and, and we want to keep our reputation just as good as it was just told to that person. It’s super important. Oh, absolutely. And I found the names of the, of the author and it’s chip heath and Dan Heath made to stick. It’s a really, really great book. Tell us a little bit about some statistics, um, about, about this topic that we looked up. I thought they were really interesting. Yeah, it’s true. I mean, we talk all the time, all the time, all the time about how many people are applying for jobs, how hard it is to get interviews and all that. But careerbuilder.com did a nationwide survey over their candidates. They said that 75% of candidates never hear back from a company after sending in an application. And then 60% of candidates say that they’ve gone for interviews and they’ve never heard back from the company. And that, like you said, Corey, that that’s a big number. And that’s, that’s a a pretty heavy stat. There will, but you know, it’s gotta be true. Oh, you know, just being on our standpoint, you know, you’re going to have the employee standpoint and then you’re going to have the employer standpoint and we’re always going to see the employer so much easier because that’s our world and that’s what we live in. But here, here’s another thing, like we don’t, we don’t actively see the other side. And I’ll tell you what an interview that I’m going to do later today is going to be a perspective from an employee. And he’s, he’s got his perspective that’s completely different. But I’ll tell you what, in an employees market, guys, this is going to begin to shift on the employer. And if you begin to just ignore employees, they are going to go find something else because they can. Yeah, it’s super true. And uh, going back to one of those Jeff Bezos quotes, he said, the most important single thing is to focus obsessively on the candidate. And really when you think about it, um, and I saw on Facebook or linkedin or someone had posted some picture and it was like your Monday motivation, it was someone’s desk. And on the phone it had this big sticky note and it said, picked me up, I make you money. And the idea was, you know, don’t procrastinate. Pick up the phone. That’s how you make money. And it’s the same now in this employee’s market that, I mean, what’s gonna make us money? What’s going to make companies money and make them successful is the candidate. So you got to really focus on them because I mean, if you don’t, you’re not focusing on how to grow and hire the right people, especially, especially right now, they’ll go somewhere else. So we want to put some action items into place. So we’re going to put probably three or four minutes here and then we’ll then we’ll go into our, uh, our next segment. But the, the first thing, if you’re a hiring manager, the first thing that you really need to do is make sure that you are hiring to fill a real need. Staffing agency Tulsa, disorganization breeds a bad candidate experience in organization and planning breed good candidate experience. You know, you need to be in being well organized, uh, starts with planning your hiring strategy by identifying gaps that you need to fill and who would best be suited to fill them. So for example, whenever you have the candidate in there and they begin asking you questions, your answers do not need to be, well, we’re trying to figure that out. Or especially you see that when you have a one or when you have two or more interviewers and the Canada asked the question and then both interviews looking at one another and we’re like, have you thought of that? And and so in, in today’s society, especially with some of the millennials being at the top of the workforce demand, they’re going to be expecting that you have your thoughts together. You know what it is that you’re hiring for. And if anything else, Ethan, I mean that’s going to put some concern as to whether or not this is, you know, if they don’t know, if they don’t know what I’m supposed to do now, what is, what’s it going to be like when I start the job? Yeah, and I mean, again, going back to kind of that idea of, you know, the customer being so important, that word of mouth being so important. I interviewed a little earlier today, I interviewed someone who was hired on a, with a bunch of other people, about 20 people at once. And then a month later they were all laid off because they realized they didn’t really need all that many people. And that’s a little different. But that same company, I won’t say who it was, but that same company, I’ve had three other people come in for interviews that the same thing has happened, that they’ve been at that company in particular, they overhired and they laid off and that the, you know, the, the name equity in that company has gone now these very true cause, you know, good and well, we were talking about it just earlier. One of the best ways is to have word of mouth. Well, what, that can go opposite. I can go good and bad. Oh yeah. Oh yeah, yeah. A really, really, really quickly. You know, we, we tell everybody in our sales is that if you tell, if you treat people will, they might tell one or two people, but you treat them poorly and they’ll tell 20 at a minimum. Oh yeah, yeah. So the way that you can do this is you need to go through with your managers and have your team leader asked managers what are the changes in the employee’s duties? You know, what does a poor performance review look like? So we can make sure and avoid people with, uh, gaps in those skill sets that were needed. And is there a need for a new skills for, uh, you know, for, for this position. And you need to make sure and put this in the job description. The job description is very, very important that it is accurate. That way when you give it to the candidate and they come in and begin asking you questions, you are not looking at each other going, what do you think? And showing a lot of concern, um, or, or throwing over some concern to the potential candidate. Um, the next thing is, is you’ll want to choose the second job. Uh, say choose the job title second and make sure that the job title is up to date. Your job title is very, very important. Staffing agency Tulsa, and sometimes you know, if you go, you know, if you had somebody in a position for the, you know, eight or 10 years or you know, you realize, hey, this is a, this is not exactly on, uh, up to date. You want to make sure that your job title reflects what it is that that job’s doing. And so look at and make sure that you need, you don’t need to change the job title because if you do, um, the, the law, the likelihood is you might put that job title out and it will throw everyone off. And Ethan, you’ve experienced this, I’m sure, whenever you put out a job, you know, we’re looking for a specific job and it’s not clear in the job title. So we’ll switch the job title just to attract the right person. You know, I don’t know if you have any stories about that recruiting. Yeah, I mean, it’s tough when, when you, when you switch it up, you know, when a company, we’ll switch it up on you. But also I had a conversation with the manager once he gave me a job description. It was, it was called the customer service position and I put it up and he called the follow up and um, and I was chatting with him a little bit about is saying, you know, we had a lot of good traction. All these people started describing all their experience and he said, well, I don’t know if those people would work. I know it’s like a customer service job, but like it’s not really like customer service. And I said, well why, why are we calling it that then, you know? And yeah, that whole, so you switched everything up and had you not had that conversation, you would have been going down the wrong track at that point. I already had 50 candidates. I was like, oh, they look all pretty good. But I had to go a totally different direction which set us behind, set them behind and said candidates behind. So the top thing that you can do is make sure that you are ready with your job description and that you know what it is that you’re looking for. Staffing agency Tulsa, this concludes the part one. This next section. We’re going to go straight in to the action items. The rest of the action items we’ll fill. It will fill up the time there. If Trinity can help you in any way, we would really love to. Please give us a call@nineoneeightsixtwotwotwofiveeighteightoryoucanvisitusonlineattrinityemployment.com.